Ｑ．How long does the effect last? Ａ．Depending on the individual differences and living environment, the effect of Herb Pack will usually last for 2-4 weeks. The effect will be lost earlier if you keep several pets together or the pet’s body often gets dirty with a walk. You don’t have to worry about the pet’s odor about for 4 weeks if the pet generally stays indoors. In the case of a ferret that has strong body odor, the effect will keep for a week if having only one ferret. Having several ferrets make the deodorization effect lose faster. Ｑ．Can the herb paste are made in advance? Ａ．Please finish using all paste in a day because the herb can’t be preserved after making into a paste. Please keep the paste in a refrigerator when using after the next day, and finish up as soon as possible. 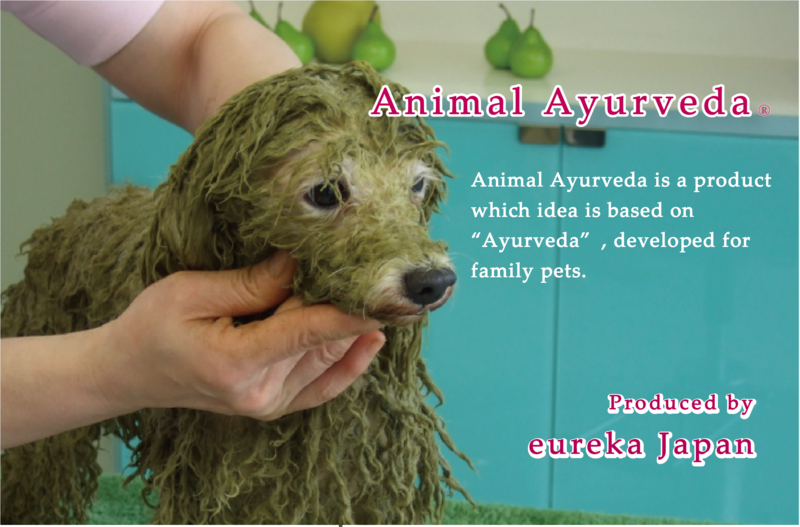 Ｑ．Which pack for dogs having dandruff? Ａ．We recommend Moisture Health that gives moisture to skin for dogs having dried dandruff. Or we also recommend Skin Health for oily dandruff. Ｑ．Is it usable to animals other than dogs? Ａ．It can be used for mammals such as cats and ferrets. However, in the case of any pets taking extreme stress by getting wet such as rabbits and hamsters, please use it carefully. Please do not use in the non-mammalian pet. Since the herb suppresses dispersion and incubation, please do not close the herbs especially to the insects. Ｑ．how long is the storage period? Ａ．There is no specific storage period if it remains powder. However, the herb will start oxidation and change the color from vivid to dull green after opening. This oxidation happens because it does not use chemicals like antioxidant and preservative at all. After the opening, it will be recommended using as ahead of time as possible thought there is no problem in the quality.